Malissa is an experienced Human Resources professional who is passionate about continuous learning and helping organizations establish an effective HR infrastructure which lends itself to support a positive culture. With more than 10 years of experience in HR and Operations leadership roles, Malissa serves as a true business partner, creating and implementing strategies to help organizations thrive. 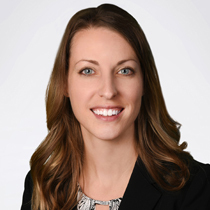 Before joining ConnectedHR, Malissa served as the Human Resources Manager for Barnes Wendling CPAs where she managed all aspects of the human resources function. Prior to Barnes, she led the human resources department as the Director of HR at Ron Marhofer Auto Family. She spent the early years of her career in a human resource generalist capacity in a law firm, nursing home and manufacturing environment. Malissa later joined Excelas LLC, a litigation support firm, as the Manager of Human Resources and progressed to Chief Operating Officer. In this role she led Client Service, Quality Assurance, Project Management, Information Technology (both networking and software development), and Human Resources. Malissa has a Bachelor of Arts degree in Psychology from Miami University and an MBA from Ashland University. Malissa has also obtained the Professional in Human Resources (PHR) certification. Malissa is a former member of Vistage International and also serves on the board of Neighborhood Alliance, a non-profit serving Lorain County. She resides in Avon Lake with her husband and daughter, and in her free time she enjoys reading and traveling.